Come learn, grow, and discover with us! 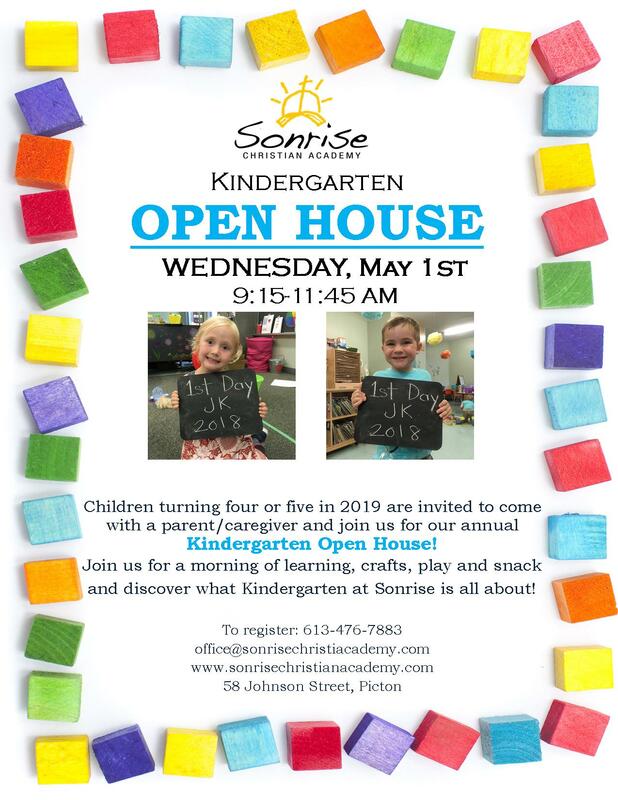 Children turning 4 or 5 in 2019 are invited to come with a parent/caregiver and join us for our annual Kindergarten Open House. - Wednesday, May 1st from 9:15 am-11:45 am. Join us for a morning of learning, crafts, play and snacks and discover Kindergarten at Sonrise. - New for 2019-2020: Our Junior Kindergarten and Senior Kindergarten programs will be running on Mondays, Tuesdays, Thursdays and Fridays.